The nail polish industry has been on fire lately, introducing new amazing nail art designs, a quick and easy new way to apply polish at home, and a new app to help you find the perfect shade. 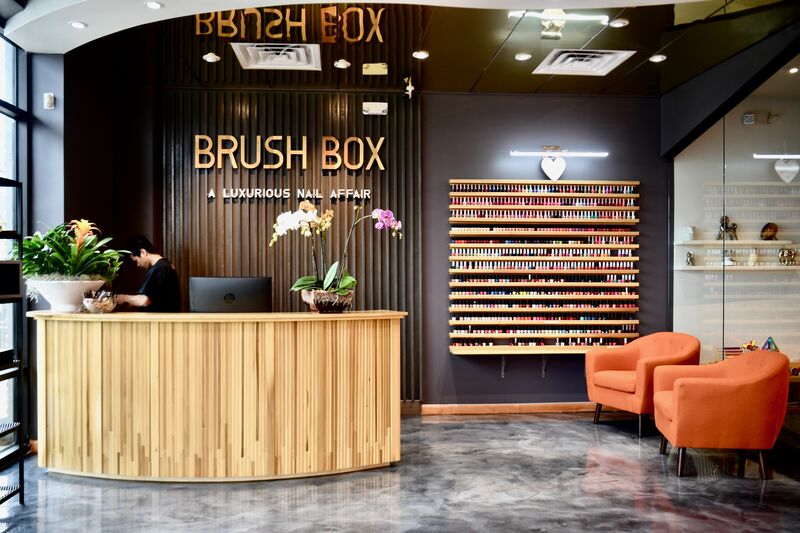 With holiday festivities in full swing, now is the perfect time to keep your manicure shiny and bright. Korean nail artist Park Eun Kyung is behind the shattered glass nail art trend seen all over Instagram. Kyung started by cutting up cellophane candy wrappers but now uses stickers to create the special effect. 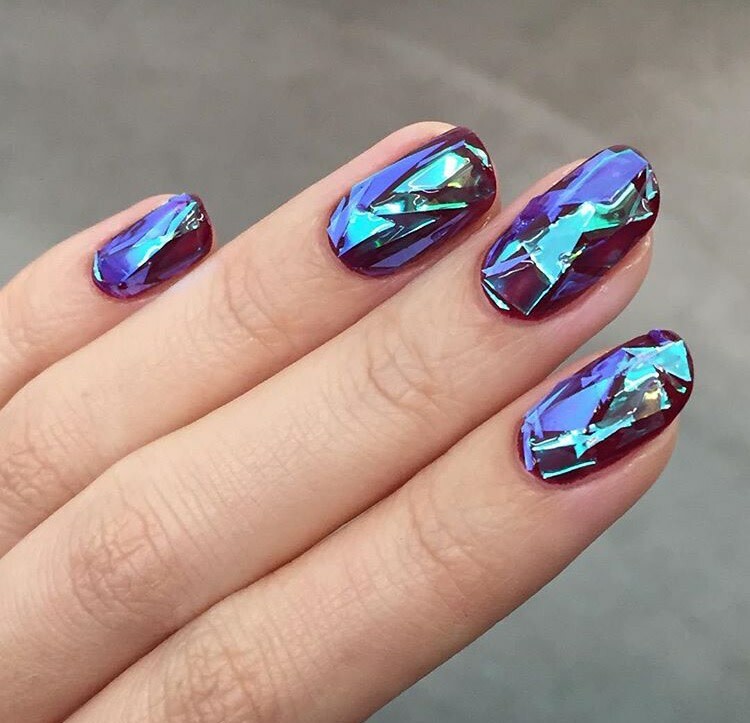 To achieve this look at home or at your favorite nail salon, you can cut pieces of mylar paper to resemble glass pieces. After a top coat, apply the cut pieces to the nail and use a builder gel to ensure the sharp-looking glass pieces stay in place. Nails Inc. introduced the first-ever spray-on nail polish in the UK this fall. 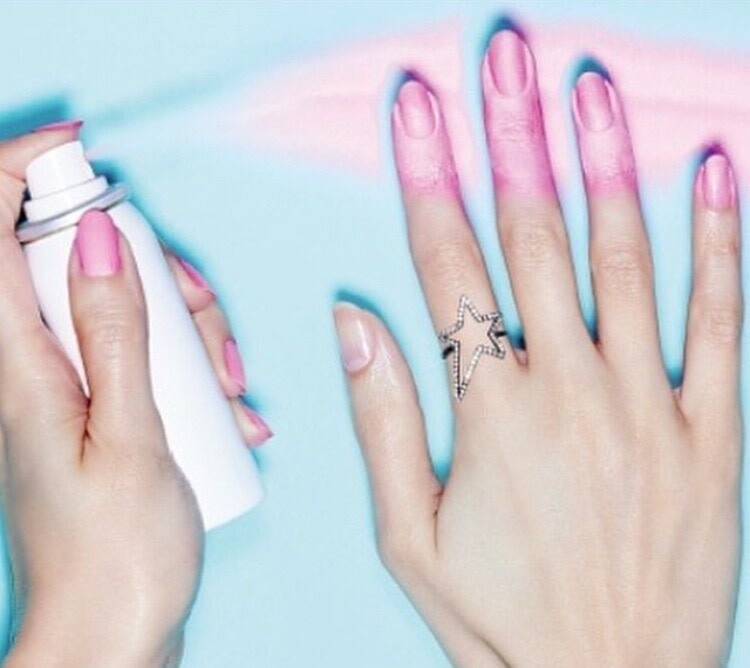 UK-based brand Nails Inc. introduced a revolutionary way to perfect your at-home manicure with Paint Can, the first spray-on polish. Applied in only 20 seconds—Nails Inc calls it the world's fastest manicure—this product requires a base coat before applying the spray-on polish, as well as a topcoat to finish for perfectly polished manicure. The color wipes off any skin or surface other of nails. 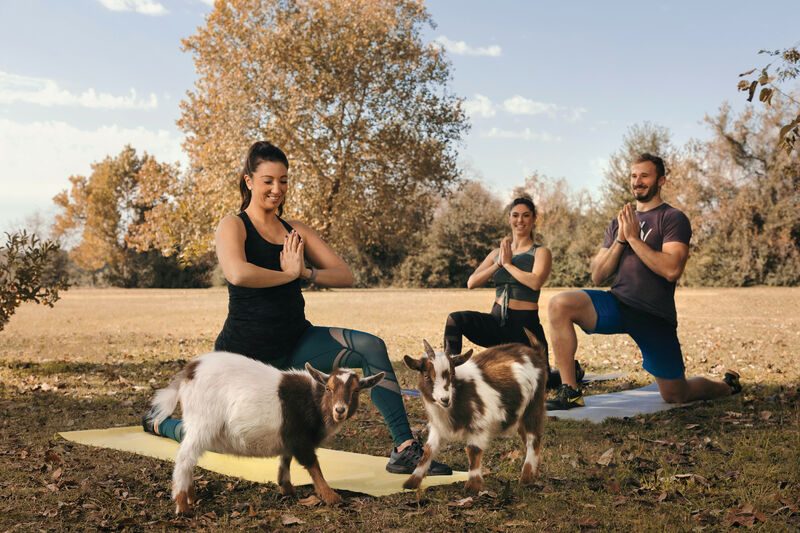 We’re already fans of this product, but we’ll have to wait until spring 2016 until it’s launched in the U.S.—and if the feverish UK launch is anything to go by, expect it to sell out in a blink. 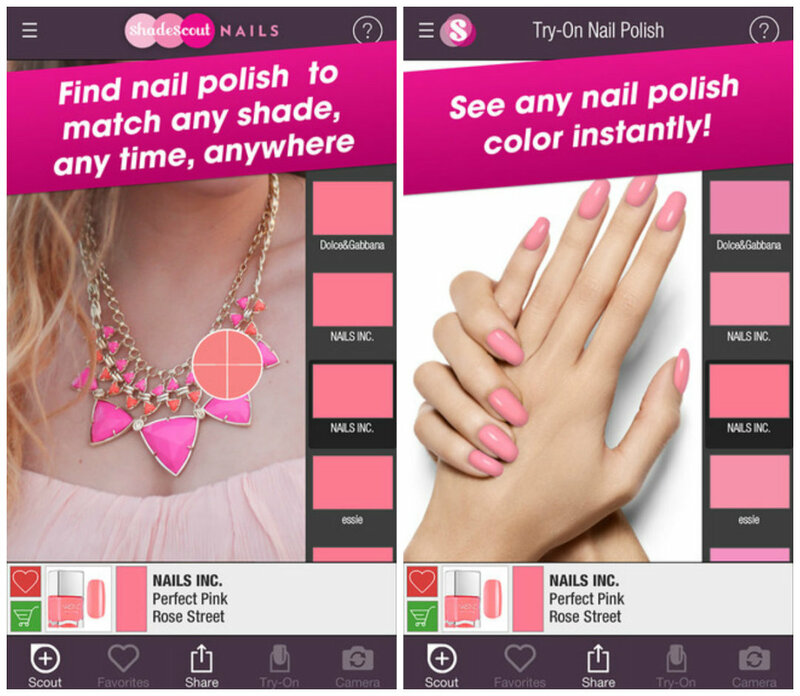 The new ShadeScout Nails app can find the perfect polish to match anything. FaceCake recently created ShadeScout Nails, an app that helps users accurately match nail polish shades with almost any color they see. If you want to match your manicure to your favorite sports team, your alma mater, or your bridesmaids' dresses, you can do so in a snap. 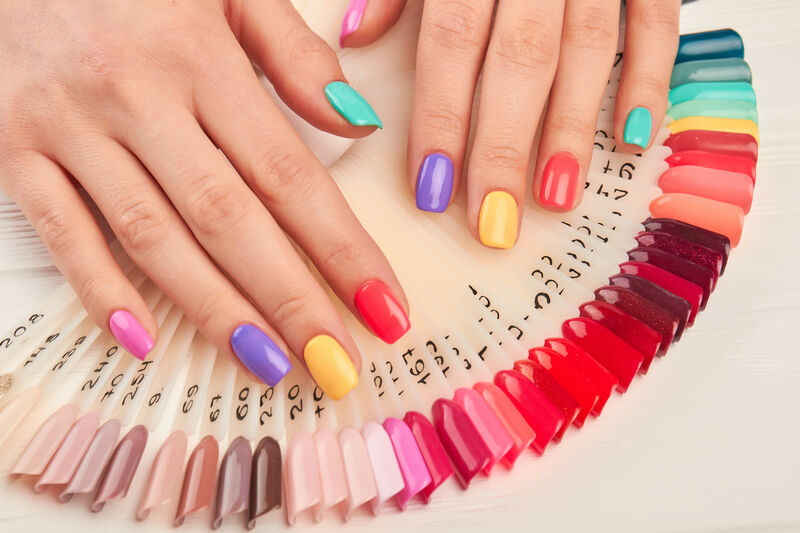 The app highlights trending colors in the Featured Shades section while the Shade Mosaic can match the color in a photograph to one of the hundreds of polish shades in its library, from more than 25 brands including OPI and Christian Louboutin.